Club Just Vanilla. White as vanilla, club Just Vanilla is made for people who like luxury and comfort. This multifunctional object is located at very attractive location in Belgrade. It's located at beach at Ada Ciganlija at local No 15. Since the opening club Just Vanilla has become ideal place for relaxation at night as well as during a day. Pleasant ambient will attract all people who are in good mood during hot summer nights. Club also has a restaurant menu with various specialties. Of course here you can expect large offer of various drinks, coffees and excellent cocktails - you only have to choose. Besides club Just Vanilla, basketball and volleyball courts are located and during a day this place accommodates around 1000 people. A little less in the evening since the beach part is closed. 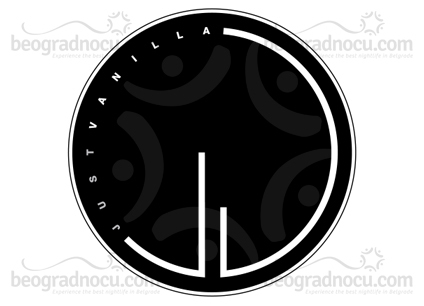 In modern and elegant interior of club Just Vanilla white color is prevailing inside. At the same time phenomenal and unique design is just the right thing for this object. And when the night falls, club Just Vanilla is becoming a place of entertainment. In evening hours you will find unforgettable party and luxurious ambient and great music are responsible for all positive impressions you will take with you. Music program will please everyone's taste. During a day Dj will play a house music and in the evening live band performances are organized. So do not miss this great place when you are in search for good entertainment. Everyone who visited magnificent club Just Vanilla are pleasantly surprised with interior and atmosphere. Do not doubt any more, just come and see for yourself. Here you can meet almost every generation. Club Just Vanilla is beautifully decorated club, designed with lot of taste when only selected crew gathers sou you won't be disappointed when you leave this place. Do miss this unique experience and come to this club adt Ada.